Brad Linder over on the Liliputing website has been publishing some early hands-on reviews of the powerful GPD Win 2 handheld computer gaming system, which is now available to back via Indiegogo and has raised more than $1.6 million during its crowdfunding campaign. As well as running the latest Microsoft Windows 10 operating system, which the PC ships with. The pocket GPD Win 2 computer is also capable of running other operating systems such as Linux. Check out the video below during which Brad runs Linux Fedora 27, Ubuntu 17.10, Linux Mint, Debian 9.03 and others on the mini PC system. – Ubuntu 17.10 – Everything but the touchscreen, gamepad, and sleep seem to work. 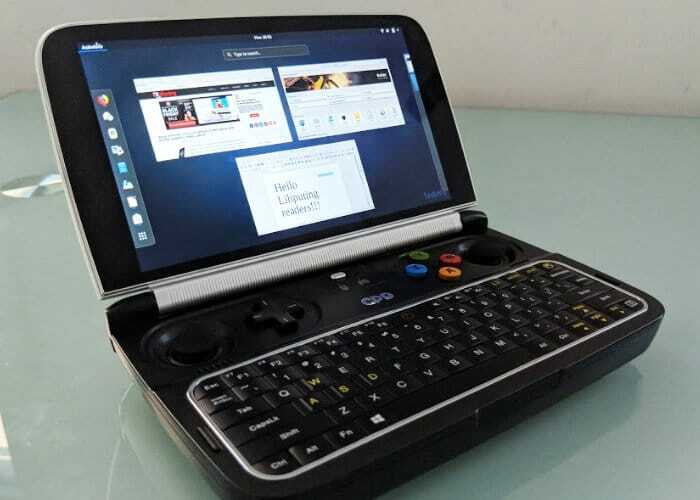 For more information on the hands-on review on running Linux on the GPD Win 2 system jump over to the official Liliputing website by following the link below.